Traversing the 4D portal to our New Dimensional Space is not a bed of roses and many of us, especially the Starseed Souls, Light Emissaries and New Earth Anchors, are strongly feeling the impact that, at a time, the battle to regain control of our Planet is having. In a time where we are finally bifurcating from Old Earth, our Planet is being reclaimed by many forces/beings, that used to breed on our Planet for eons, and that still desire to exert control. Therefore, it is pivotal that we remain in the wisdom, clarity and purity of our God Self, for not everything and everyone is filled with good intentions, and it is only by remaining in this present moment, and in the wisdom, we have retrieved that we can continue to act as the light pillars that we have consciously chosen for this planetary transition. It is a key moment to bring this love and healing, that we are so eager to manifest within ourselves, in a global level as well, for we All function as a living organism together with Gaia. It is precisely when we most need to anchor our new frequency to Earth that we are blessed with a special Super Full Moon at 12 degrees of Taurus that in a planetary level, will assist us to anchor our 5D dimensional frequency within ourselves as well as within our own physical space, for reclaiming our sacred space in both the ethereal and in the physical is essential for us to avoid any negative penetration into - our sacred space - by any negative forces that are still fighting to keep us enslaved. The loving and earthly essence of this Full Moon, for Neptune and Venus has a huge impact in this Taurus Full Moon, together with the macro events that are assisting us in this transition, will not just last for one day, for as we know, the harmonized energies coming from the cosmos can coexist and be embodied at our own Divine Timing. This is not just a time for deep release but also one of seeding, for we are just beginning to expand ourselves through a higher way of expressing our creativity and soul gifts. However, and as recently guided, I am not only going to focus on the typical, and to me, fixed meaning of this Taurus Full Moon, being all about abundance, anchoring our soul desires in the physical etc, for this is just a tiny aspect of what is occurring in the micro. 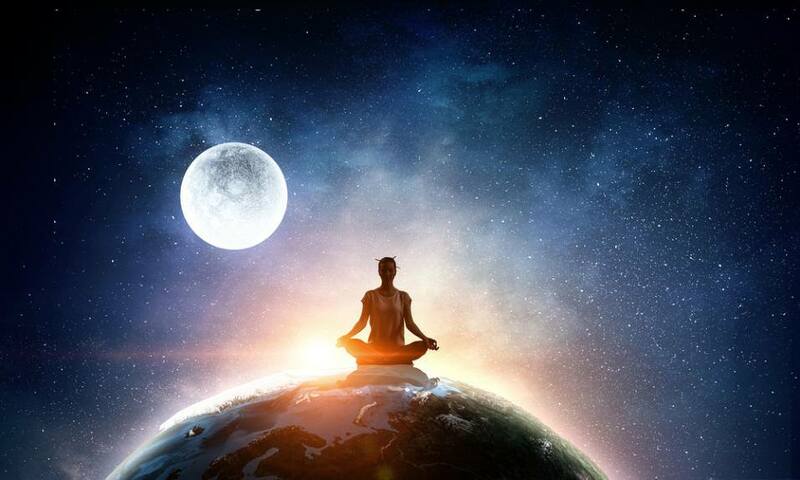 There are more events taking place, at every single moment outside our micro time/space zone, so I also share more of what is happening beyond our human confines as well as the impact these energies are having beyond a physical level for the ascending souls. This is going to be a passage where anchoring love, peace, compassion and power, in a deeper way, will have a great shift for All, for this is what our Planet is needing, at a moment, when it is being manipulated by so many beings that not only do not come from Unity Consciousness but that do not yet know the conscious intention many of us have to keep this Planet dwelling in the highest frequency possible. This is a time in which, as ascending souls, our sensitivity could be highly increased, due to all the cosmic frequencies that are being poured into us as well as the deep inner transformation that we are experiencing. We have a very important and non-fixed event happening until December, not just during this Taurus Full Moon, that will assist us to accelerate the inner shift that we are consciously triggering within and in our physical lives. The trine between Jupiter in Scorpio and Neptune in Pisces, will help us to bring deep focus on putting all our intention into unconditional love, compassion and service, not just to all but to our own selves as well, for we must first bring this same unconditional self-love to us, before we can even think about giving it to others. This period brings great sensitivity not just in perceiving deeper than what is happening in our physical realm, for we all are beginning to envision beyond our human veils. It brings the opportunity for us to establish a broader contact with other star beings/civilizations/dimensions who are helping us, in this transition. Use this sensitivity not just to feel empathy or to fall into the trap of only feeling the pain in the world. Empower yourself so you can understand this pain, learn from it and be able to move from this limited perspective into a wider one, in which you are able to use your gift to communicate with higher aspects of who you are as well as with other beings/forms of consciousness - that are here to help you bring back the empowerment you need to reclaim your sovereignty. This is a time of deep work for the ascending souls, not just to work on ourselves, for some of us are beginning to heal all the old traumas and old beliefs and beginning to be of broader service, and although as you know, the inner work never ends, now is more a phase for us to remain focused on love - using power to serve in whatever way we are guided by our Unifed Self. Some of you may be called to travel to activate certain physical sacred sites/corridors on Earth, something in which this Taurus moon will help tremendously. Others must continue to act as pillars in the same place, it does not matter if change comes in the physical or not, for change is always there for us even in subtle ways that our human being is not able to perceive yet. What is essential is for us to be able to move from our egoic desires to God’s one, for it is only by doing so that we can act as One, bringing deep change into ourselves and Planet. • Sleep paralysis (after that very common to spend even a few hours with deep crown chakra pressure): This is very common when we come back from the astral plane by being fully conscious of the work we have been doing, for our soul never sleeps. If you still find yourself struggling with this, know that the only thing that will work is relaxing, knowing you are fully connected to your body, and allow your body, at its own time to be able to awake and readjust again to your frequency. Most of the time, people are desperate when they are not able to wake, and as they are fully conscious, it is worst to feel our physical body, its vibration, every sound surrounding us as well as many more things, but not being able to wake. Please, understand our body cannot function in such a higher frequency, it is not that fast, give it time, remain in peace, fear nothing, for if you open, even a tiny window to fear, then you will be allowing dark forces/energies to manipulate you as well as your sacred space. • Ear ringing: I know a lot of people consider this to be a negative sign, others consider it to be the angels speaking to them. from my own guidance and experience, it is the readjustment our physical ears must make for them to translate a higher frequency which is waiting for us to hear. In my experience, this begins to happen when your higher chakra system is being activated and you are beginning or about to hear a higher guidance, if you, of course, decide to align with it. In my personal journey this is how I began to hear my Guides, it takes time to adjust oneself to its purer frequency as well as to be open to receive out of fear and human self-doubts, but as I always say, when there is a will there is always a way. You have your unique way to receive guidance, discern for yourself, if you are beginning to experience this. Above all, do not leave any space for fear, fear is the opposite of love and whatever is happening you can always discern if what you receive, through your feelings, is coming from the light or is another form of energy that is trying to manipulate you. Therefore, it is so important to remain always focused on the illuminated presence of our soul as well as to cleanse ourselves and do the proper healing required not to allow these lower frequencies to confuse us. • Leg pain and deep fatigue: this, especially to the stabilizers, is another sensation caused by the transformation our body is experiencing as well as the many messages that your legs could be giving to you now. Are you so focused on building and assisting in the ethereal that you no longer focus on anchoring yourself on earth? Have you built strong pillars that connect you to the illuminated realms while you forget to first create the strong foundations that will allow you to connect yourself Above? Our legs represent our foundations, as well as the movement forward, if they are not functioning or flowing well, listen, they are giving you a message of the direction that you are taking in your life. • Body detox: Experiencing deep detox, in whatever way they come to you, in the form of tears, stomach issues, etc, is usual when we are experiencing a deep purging and embodying a lighter frequency, make sure it is not any medical condition, and if not, drink lots of pure water, when I say pure I already know you will understand that by this, I mean water that has not been manipulated in any human possible way. Among all the things you are guided to do to take care of yourself, it will also help to ground yourself, especially with food that comes from earth such as potatoes, nuts and all that you are guided. It is all part of the process, the more you take care of yourself and take naturally, the more All will get better. It is also important, especially the ones whose soul mission involves working with healing Earth, that we begin to understand that this is not just about ourselves but about doing what we can to help Gaia get rid of the many energetic and physical attacks She receives - not just from physical beings but from the dark forces who are trying to manipulate human resources, as well as climatic conditions. There is a macro event, which is going to give us the perfect frequency/assistance we need to help bring purification of our Planet, especially in the climatic conditions, for we have Saturn, who is very close to our Galactic centre, squaring the cosmic healer Chiron, in Pisces. This is a message from the cosmos for us to bring the healing we create within ourselves into our planet, for we no longer are for the self but for All. It is not new for us the many changes, especially now, that Planet Earth has been manipulated, especially about rain, between many other things, for us to starve ourselves and begin to quit our desire to evolve. It is by controlling or wasting our human resources that the dark forces try to keep us in fear, spreading false propaganda of what is truly happening. The negative agenda is trying to manipulate demographical areas, especially the ones who are in wars and/or are affected by radiation, deep pollution etc, to regain control. It keeps creating bigger holes in our protective ozone planetary layer, so these energies will not only affect us, causing deep chaos for All. Pollution, gases and many other things some humans pour outside, also affects other planets/civilizations who possess an even purer frequency than ours and that are being strongly affected by what Earth is sending out. Therefore, I am thanking and making a conscious call to all Earth purifiers and healers to be able to bring this healing essence as well as commitment to keep assisting our Planet, so we can help bring this purification into a higher level, not just into a micro one. Global change begins when we first bring this change within ourselves, beginning with conscious eating, and ending with respecting the environment. After this step, it is time for us to work on a deeper level, in our unique way, to bring this same change - and purity - within our earthly realm. During this deep period of transformation, it is of great importance that we consciously work not just 0n our karmic baggage but on our emotional and mental planes, for in order to anchor ourselves within the new timeline that we are so eager to dwell, first, it is essential that we do so by being purified, of an old self, an old life, and above all of all egoic desires, for where we are beginning to sojourn, is not about us or about what we want, but about the conscious desires and will of working for All, for now we all remember unity beyond our human sense of individualization. We are being invited to begin moving our focus from the self to All. For it is a time not just to talk about unity consciousness but about experiencing it at every single moment. It has been a recurrent message for me, in my personal journey to begin to work with the macro, as well as also working with ourselves, for everything is One and works in perfect unison, even if we are not aware of it, at a human level. There are times when we focus so much on the outside, on how we can anchor an awareness within that we forget to also anchor this on the physical. The time to take care of not just yourself or your sacred space but Mother Earth has come, even if you have not been conscious of it yet. There is nothing to judge within yourself or in who you used to be, either in others or in outside circumstances. Now, there is only time to focus on the Truth that All is you and you are All, working together to reunite again as One, within Creation. There are infinite lovelight beings assisting you, protecting you, guiding you in your earthly path, whether you are conscious of it or not. These Forces of Light of the Universe are always working to support you. The question is do you? Do you support, love and respect yourself above all? Mother Earth is always taking care of us, feeding us, respecting us, giving us what we need, even though we have tried to impede her doing so for eons, with our destructive behaviour. She will not quit on you, for she has already chosen to love and honour us All, unconditionally. The question, again, is have you?